You are you looking at buying your next Jetski privately? Why risk it? When you can get a hassle free pre purchase inspection? 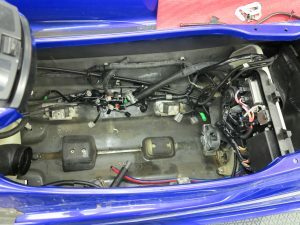 Our trained Jetski technician will carry out the Major Inspection. Engine computer log on and fault code inspection. 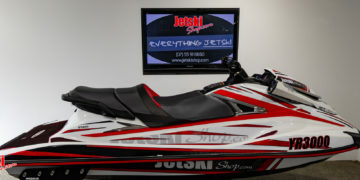 Get a jetskishop.com pre-purchase inspection now. 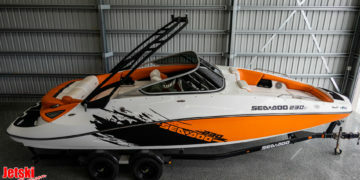 A Jetski technician will complete inspection & take the Jetski for an on water test. If they have something to hide, they won’t want an inspection. Is it really worth getting checked? If your pre purchase inspection finds and faults including defects rust or corrosion then you can use these points to negotiate a reduced price. If not, then you get piece of mind to hit the water and stat enjoying your new lifestyle. 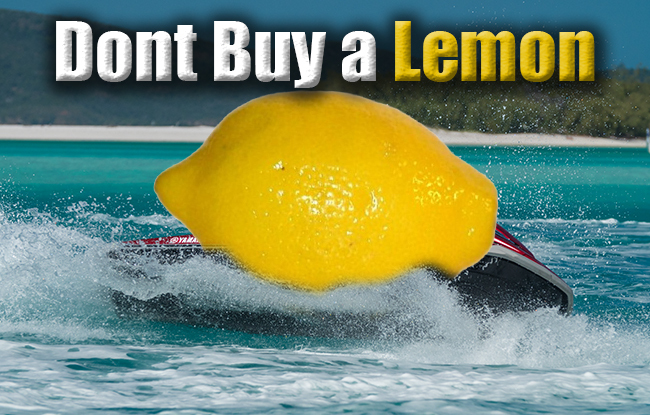 "Most people getting a jetski only look at price and colour. So why not let our team’s experience work for you." 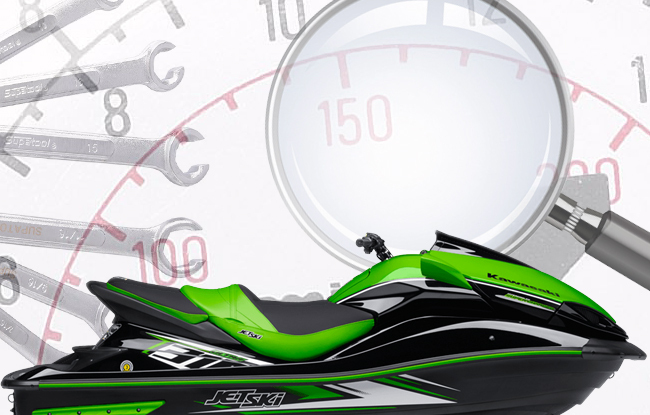 While you may not always understand the mechanical items on each jetski you can be assured that our inspection will give you the confidence you need to hit the water and have a great experience. Here are some things to look out for..
Electronics. 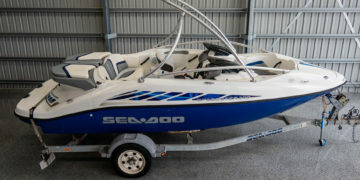 All modern jetski have electronic diagnostics, each brand requires specialized equipment to log onto the computer in each jetski. This give an insight to riding habits and stored fault codes. JetPump. Make sure you check the Jetpump and Prop, as a damaged prop can seriously leave you stranded out on the water. Engine: compression and spark plugs inspection. The compression test is a health test for the engine. 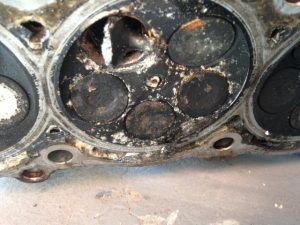 Low or uneven engine compression can be the first sign of Salt water rust on highly corrosive engine components. Fibreglass and Hull condition. You might be able to see if the paint is shiny and clean but has it had accident? 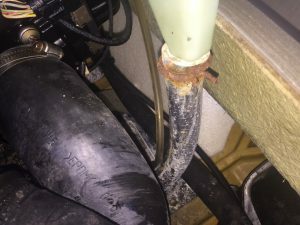 Water leaks? you would be surprised how many jetskis are not checked. Battery. Chances are if you are buying a private ski it has probably been left siting around. The battery is crucial, It must be fully charged and tested. You can’t just kick start it, push start it or walk home. so don’t risk it. 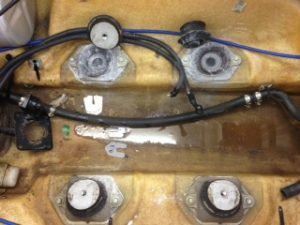 Jetskishop.com pre purchase inspection saved me over $1000. When I brought my FX SHO I didn't know it had a swollen jetpump liner. The seller agreed to take off the repair from the sale price. very helpful. highly recommend. 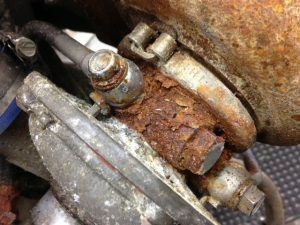 I was Buying a jetski from gumtree, jetskishop.com carried out a pre purchase inspection for me and found 2 broken engine mount and an exhaust leak. The seller paid jetskishop.com to fix the ski and now I love my Honda! I brought a Sea-Doo RXTX- Thanks to jetskishop.com as they found a hole in the intercooler. Seller paid for the replacement. pre purchase is a must!